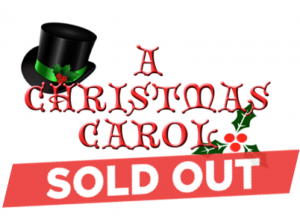 A Christmas Carol is a hit: SOLD OUT - Attleboro Community Theatre, Inc.Attleboro Community Theatre, Inc. A Christmas Carol is a hit: SOLD OUT - Attleboro Community Theatre, Inc.
“A Christmas Carol” is a hit! Thank you all for your continued support of the arts in Attleboro. We are overwhelmed and ecstatic to inform the community that we are completely sold out for the remainder of “A Christmas Carol!” Thank you everyone for spreading the word and coming down to the theater. For the final three performances, we will only be seating those that have made a previous reservation. Happy Holidays to all and we hope to see you at our next production in February! Please note the Box Office doors have been relocated to the side entrance.